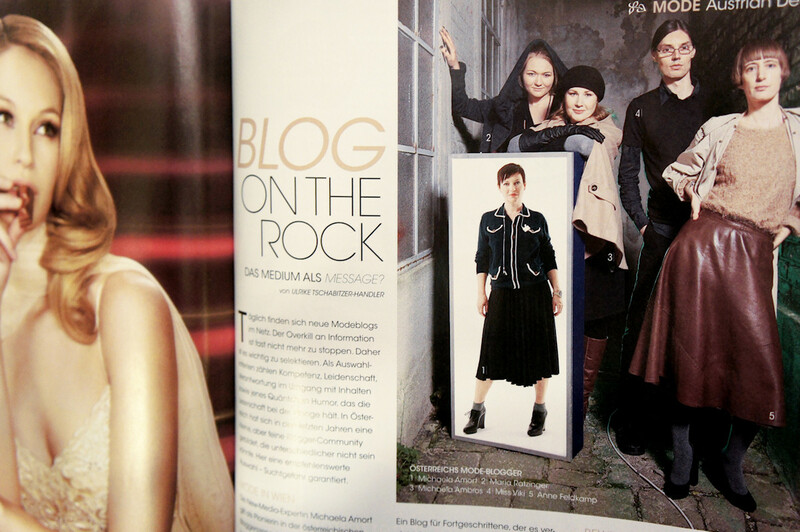 Hi, I am in Maxima :) Together with four Austrian fashion bloggers, we were ordered to a photo shooting with Regina Hügli. Four of five bloggers obeyed (had time) and the result is now published in the current Maxima January/February issue 2011 alongside a brief description of every blog. Being in a fashion mag and getting noticed is so cool and rewarding, it is like seeing the fruits of the hard work, which lies behind blogging and being a model. This is often underestimated by beginners, who quit after a short time because of the huge burden and little reward you get at the beginning. 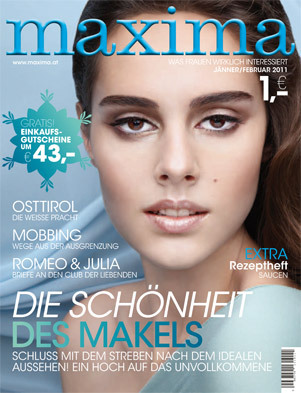 Grab your copy of Maxima (2011/01) at your local BIPA, BILLA, Merkur or ADEG store for only 1 EUR (sold in Austria).